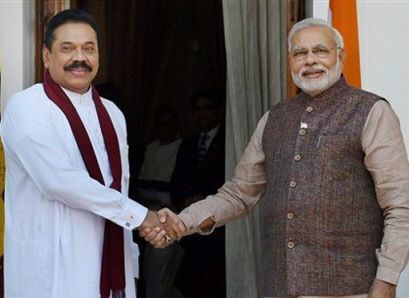 "PM @narendramodi thanks Prez @PresRajapaksa for pardoning and sending back 5 Indian fishermen earlier this month" Ministry of External Affairs official spokesperson Syed Akbaruddin tweeted during the meeting between the two leaders. The Colombo High Court had on October 30 sentenced the five fishermen from Tamil Nadu - P Emerson, P Augustus, R Wilson, K Prasath, and J Lanklet - to death on charges of smuggling 995 grams of heroin. They were arrested by the Sri Lankan Navy for heroin trafficking in 2011.